Explore the beauty of the Moravian fields! 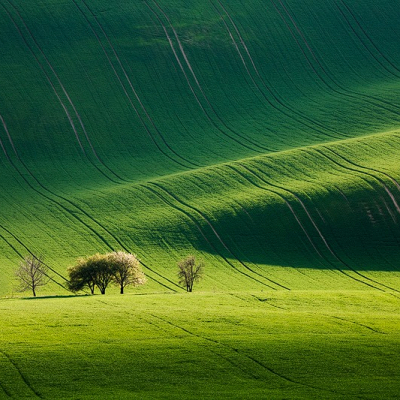 We will guide you through the rolling fields of South Moravia, one of the most beautiful yet relatively undiscovered photo locations in the Czech Republic. Sometimes it is also called Moravian Tuscany thanks to its resemblance to the famous Italian region. The workshop is intended for photographers. Therefore, we will be photographing mostly during the golden hour (an hour after sunrise and before sunset). South Moravia is a traditional wine region, so we will also have several opportunities to taste and buy the delicious local wine. This photo tour is intended for photographers on any skill level. However, we expect you to be familiar with your own photographic gear. All the locations we visit are literally next to the car, so there will be no serious hiking involved. We will usually stay at Hotel Bukovanský Mlýn (book via Booking.com) located 40 minutes from Brno (2:30 from Prague) by car. It is known for its cozy rooms and delicious Czech cuisine. The weather in the Czech Republic can change rapidly from sunny to heavy rain showers and vice versa, which is beneficial for landscape photography, as the light is always beautiful after the rain. However, the weather is the only thing we can’t guarantee.